The winter wonderland of the Reutte nature reserve region offers relaxation, natural beauty and just as many extraordinary recreational activities off-piste too. Countless perfectly groomed cross-country ski trails and winter hiking routes run through our natural park region. A breathtaking panorama, romantic forest clearings, idyllic villages and traditional refreshment stops transform excursions into a special experience. 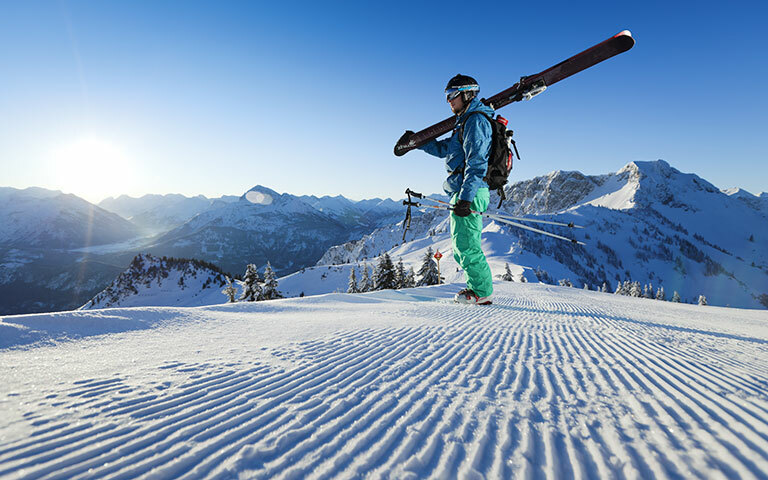 In the surrounding ski areas there are countless perfectly groomed pistes which offer something for everyone – from beginners to seasoned skiers and snowboarders. 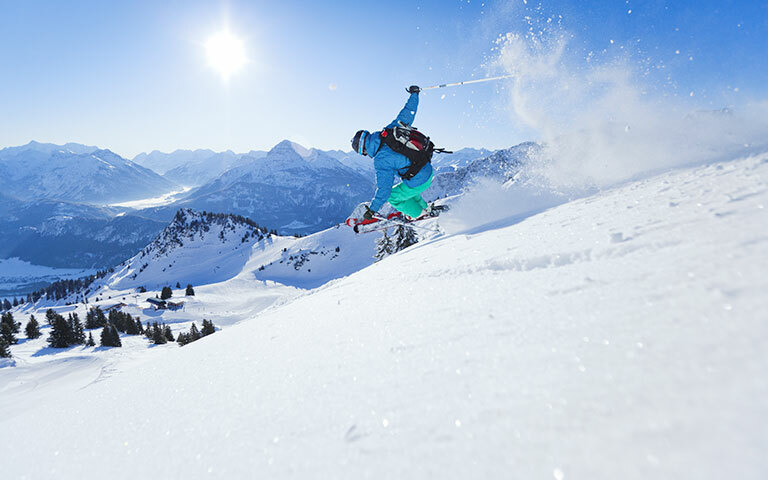 The local ski schools offer programmes to suit all levels. 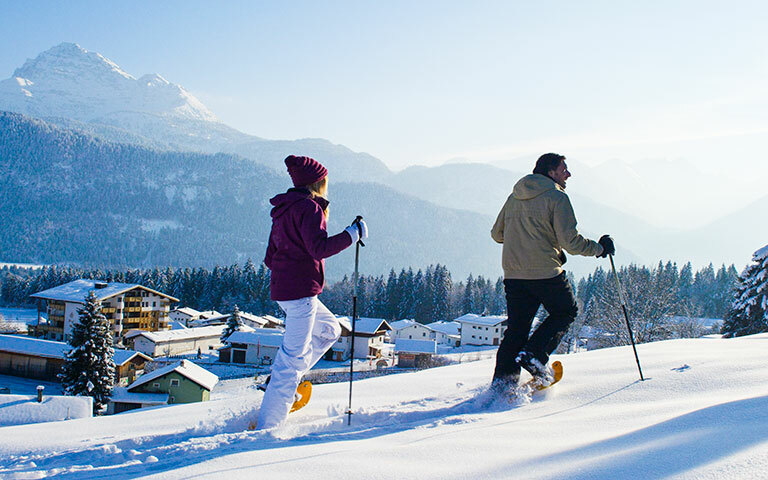 Discover and experience nature up close and personal with cross-country skiing in Reutte. 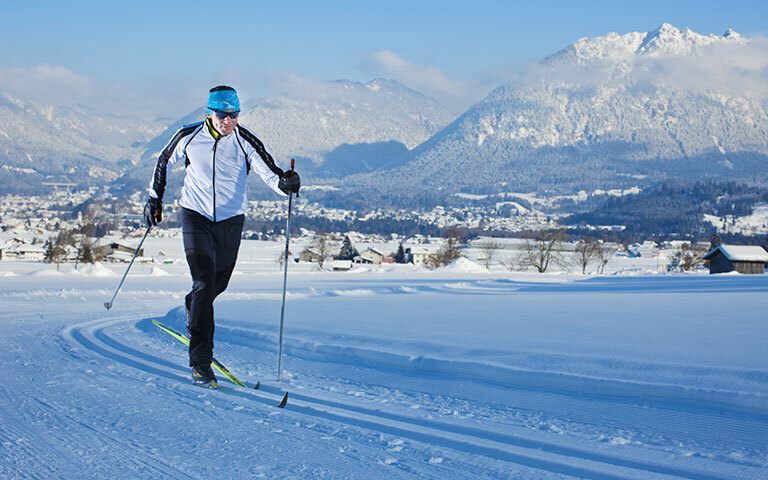 120 km of perfectly manicured cross-country ski trails which have achieved the trail quality seal of the Tyrolean region await you. Added to this are the 30 km of ski trails that run through the breathtaking winter landscape, past frozen lakes and snow-covered meadows. Each week an introductory course takes place for beginners and the ski schools offer cross-country courses too. 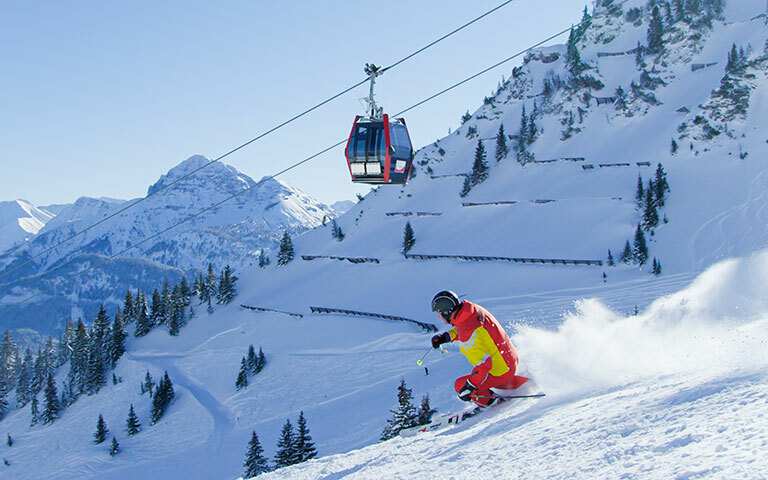 There are many other activities on offer in the Reutte nature reserve region as well as skiing, snowboarding and cross-country skiing. 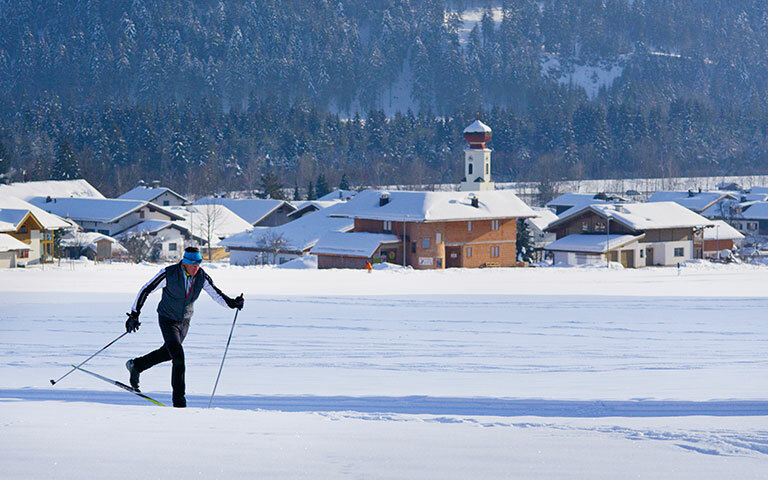 Breitenwang is home to a roofed ice sports and curling arena. 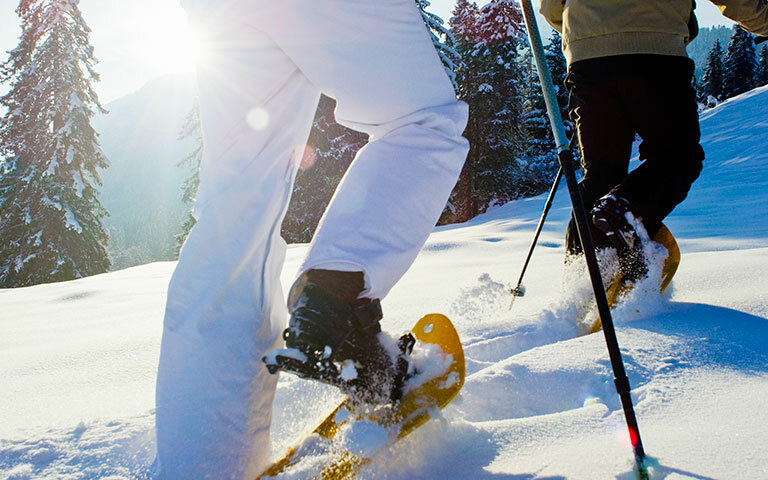 Snowshoe hikes, Nordic walking and ski tours offer you the chance to rediscover nature from a different perspective, and climb mountains through the deep snow off the pistes. Stay snug in a romantic horse-drawn sleigh ride. Looking for peace and relaxation off-piste? Then Reutte is the place for you! 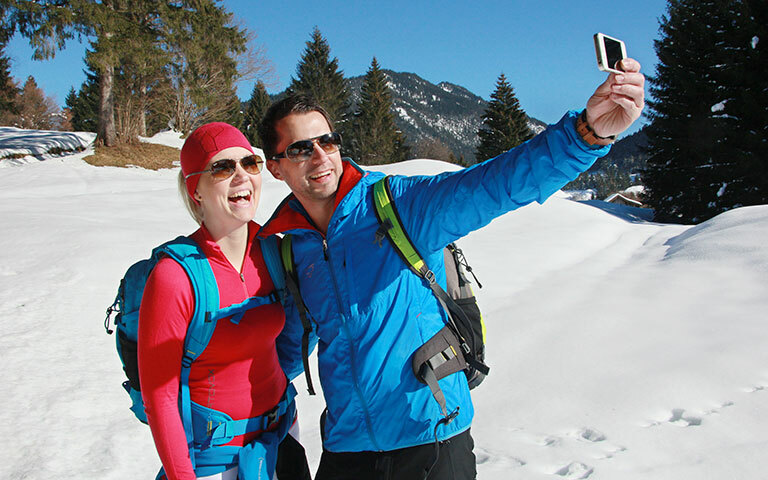 In the White Winter Experience brochure you will find some of the cabins dotted around Reutte and our hotel – you can reach these on foot with snowshoes or as part of a ski tour. 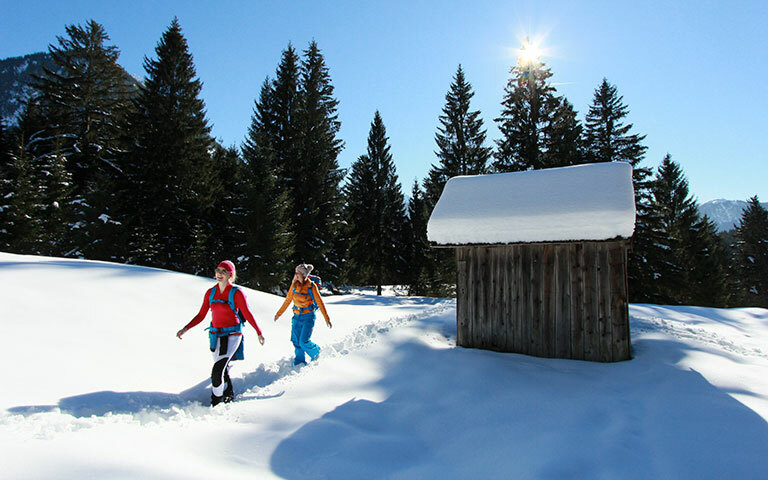 Winter hiking is a varied and spectacular recreational activity for any Tyrolean holidaymaker who wants to experience winter away off the ski pistes and cross-country trails. Breathtaking views of the snow-covered landscape offer the perfect way of escaping the everyday and recharging your batteries. 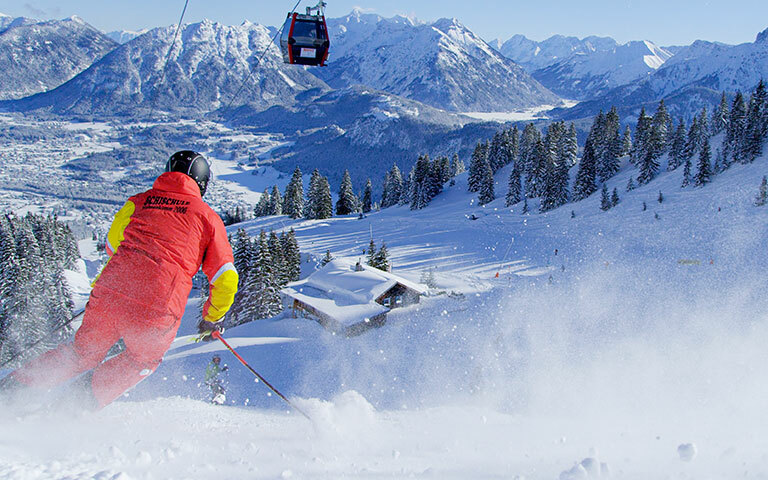 Daily reduced admission for the whole family for the thermal spring Eherenberg and for the Hahnenkamm in Reutte. Free admission to the museum “Dem Ritter auf der Spur ” and free bus rides within the Naturparkregion Reutte, the Lechtal , the Tannheimer Tal, or to the city Füssen and up to the Plansee – your dream vacation awaits! The Lechweg offers a unique experience of nature, people shaped by the landscapes where they grew up and truly fabulous tales. On some 125 kilometres the hiker accompanies the river Lech from its source near the Formarin lake in the Austrian state Vorarlberg to the Lechfall in Füssen, Allgäu.